There are many reasons why people consider uprooting and relocating to a new village or town in another part of the country.It could be because of an upcoming retirement, and you no longer need a large house. If you have a young family, maybe you’re looking for somewhere with low crime and decent schools. It’s all about finding something that suits your needs in a place where you can enjoy your free time. And many of them find themselves drawn to Dorset’s many quaint towns or villages. Johnson’s of Shaftesbury relocates thousands of people into Dorset every year. We always encourage feedback to see why they chose our county as their new home. For some people, it was necessary to get better value for money which is especially true if you live in London. The one thing we’re confident about is that there is a new home to suit everyone’s tastes and budget in Dorset. Dorset has some of the most popular seaside resorts in the UK which is partly due to the fantastic weather we enjoy. You won’t find many places in Britain with more sunlight per day than Dorset. And this means there are lots of outdoors and beach activities available. Dorset offers a better balance of work and family life, which is why many people chose to live here and commute to larger towns and cities for work. Our county has low levels of pollution and lots of green space and nature reserves. You’ll also find that the housing market is favourable in comparison to larger cities like London. For the price of a luxury apartment in the capital, you can easily find a four-bed detached property here. And for those who can afford it, they retain their house or apartment in London and purchase a second home in Dorset. And just as important – Dorset is a vibrant and exciting place to visit and live. Some events and festivals showcase all year around, so you’ll always find something to do in your spare time. We have some of the finest restaurants and pubs in the South of England, as well as plenty of culture and entertainment on offer. 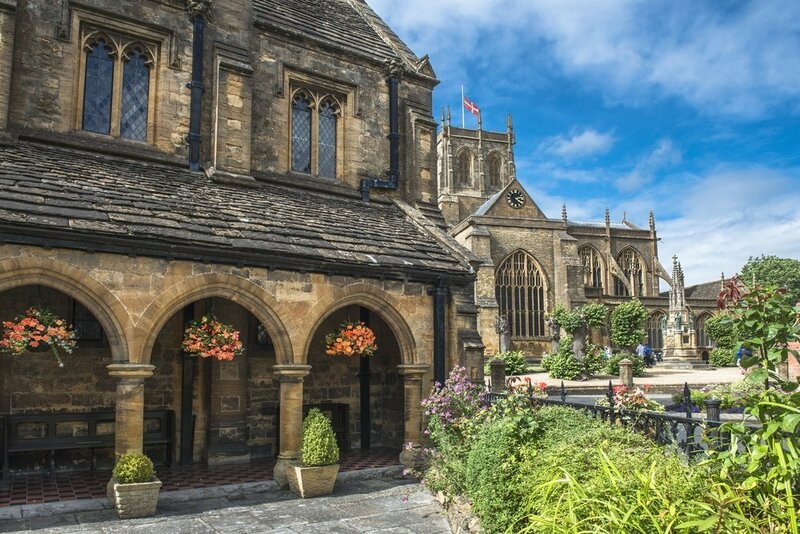 Sherborne– this market town is known for its captivating architecture and stunning buildings, all with plenty of historical importance. Sherborne Abbey host various musical events throughout the year and the town hosts its annual Sherborne International Film Festival for movie buffs. With plenty of curio shops and excellent places to eat, Sherborne tops our list of must-visit towns in Dorset. Swanage– we’re heading to the coastal town of Swanage for our next entry on our sought-after towns in Dorset list. Swanage is a family-friendly town that has lots of water sports and other activities for beach lovers. You can explore the coast with one of the many Jurassic Coast walks, or take a relaxing walk along the promenade. Another top destination for foodies and people seeking entertainment. Weymouth– if you’re looking for the best beaches in the UK, Weymouth is the place for you. It ranks in the top ten beach resorts in Europe, boasting unspoilt sands and a plethora of seaside activities. With excellent days out and entertainment night and day, you’ll always find something to do in Weymouth. Not to mention the year-round events and food festivals on offer. Wareham– we’re leaving the coast behind to move back inland to another of Dorset’s famous market towns. Wareham is one of the only Saxon walled towns left in England, so it’s a must for all battle-ready history buffs. You can head to the Quay for events and activities for the whole family, as well as doing some shopping in Wareham’s independent retail shops. The Johnson’s team move thousands of people into Dorset every year from all over the UK. We regularly relocate new residents into some of the county’s scenic villages and small towns. We understand the appeal because we’re lucky enough to call Dorset our home. A lot of people visit Dorset a few times before they make the decision to relocate here. For many, they are looking for an improvement in their lives. It might be for health reasons or to seek out a better quality of life. Dorset offers a change of pace and environment, but still accessible to major cities. Dorset is also one of the most sought-after locations for holiday properties and second homes. Additionally, lots of people do this as an investment where they can source a second income from renting the property out. At Johnson’s, we believe that customer service is what sets us apart from other removals companies in Dorset. That’s why you can rely on us to relocate you to any part of the county. We do everything possible to make your move as smooth and stress-free as possible. If you want more information about our range of services or Dorset, please contact us today.